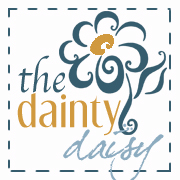 The Dainty Daisy: Crazy Yarn Lady! Lots of stuff has been going on! My sister, Cricket, and I took part in an event to at Koetsier's Greenhouse where money was raised for The Pregnancy Resource Center, and we sold our stuff. This gave me the opportunity to use my new hat rack that my brother and Paul (my hub) created for me. Don't you think it's awesome? The show was a ton of fun! I didn't sell as much as I would have liked but I don't think crocheted hats are overly popular in the Spring and with Summer coming up. Either way, it got my name out! Cricket and I also got to snag some food and do some wine tasting while there! Here is a pic of our "booth." So much product! Cricket sews baby items like hooded towels, adorable onesies with appliques, and burp clothes. You can check her stuff out at This N That Designs. On another note, I have been trying out some new patterns and I am having a ball! It has been so fun to put together some new things. I have been doing the same pattern over and over lately, so I needed a change of pace! Here are a pair of booties and a hat I crocheted for my other sister, Jill's, adoption fundraiser. I bought the bootie pattern off of Etsy from Mamachee. I added a bit of my own touch, but don't you love them???? The newsboy hat was bought from Angels Chest. It stitches up quickly and I love the variety from my other newsboy hat. Lastly, I must brag. 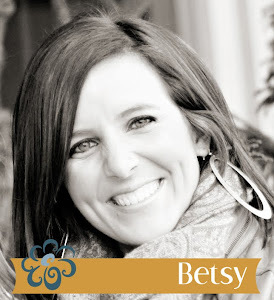 This is why this blog is called the Crazy Yarn Lady. I went to buy yarn today and found an AMAZING deal at Michael's. They had an entire bin of yarn for $1.50 a skein!! They even had Lion's Wool-Ease Thick and Quick! This yarn is normally at least $6.50, so I cleaned them out! As you can see I went insane and came home with 25 skeins of yarn! Paul is going to kill me! But seriously, I am WAY too Dutch to pass up a deal like that! Oooooh! I wonder if every Michaels has that bin. I'm definitely checking it out ASAP! That hat rack is AMAZING!